After getting all their calculations wrong at last year’s Commonwealth Games and Asian Games, the National Sports Council (NSC) have wised up. They are not predicting their gold haul at the 28th Singapore SEA Games. At the last Games in Myanmar two years ago, Malaysia returned home with 43 golds, 38 silvers and 77 bronzes. Here, StarSport gives the low-down on Malaysia’s prospects. THIS sport is a golden goose for Malaysia. The divers are set to repeat their eight-gold sweep in Myanmar two years ago. Afterall, we’re the only country is the South-East Asian region to have world-class divers. Experienced divers like Leong Mun Yee, Cheong Jun Hoong, Pandelela Rinong and ... should have no problems winning again. But it will be interesting to see how we perform in the swimming events against Singapore, Vietnam, the Philippines and Thailand. Malaysia, however, have very strong chances in the men’s 200m and 400m freestyle as well as the 4x200m freestyle relay. Sixteen-year-old Wong Fu Kang is also a good prospect to claim gold in the 50m and 100m breaststroke. Synchronised swimming should get gold No.1 for Malaysia through the duet pair of Katrina Ann Hadi-Zylane Lee. THE men’s recurve archers’ performances have been poor since winning the team silver at last year’s Asian Games. But Khairul Anuar Mohamad and Co are still the one to beat in the region. Malaysia dominated the individual and team events in the previous two Games and should be able to do repeat the two-gold show again. Indonesia are Malaysia’s biggest threat. Malaysia are also expected to mount a strong challenge in the compound event. The trio of Fatin Nurfatehah Mat Salleh, Saritha Cham Nong and Nur Rizah Ishak look good for the team title after being boosted by their historic gold medal triumph at the World Cup in Shanghai last month. There are 10 golds at stake and there’s a strong possibility of Malaysia surpassing the three-gold target. MALAYSIA’s standard in track and field has declined drastically in the last five years. It’s going to be a big ask for the national athletes to do better than the four golds, six silvers and 13 bronzes achieved in Myanmar. Only high jumper Nauraj Singh Randhawa and discus thrower Mohd Irfan Shamsuddin look good for glory. Both Nauraj (2.22m) and Irfan (58.46m) are ranked number one in South-East Asia. Fifteen-year-old Grace Wong Xiu Mei could also spring a surprise in the women’s hammer. The Sarawakian is ranked number one in the region based on her personal best of 55.08m. It was a flop in Myanmar with only the women’s doubles pair of Vivian Hoo-Woon Khe Wei delivering the gold. But the recent good performances at the Sudirman Cup mixed team event have boosted Malaysia’s confidence. With Danish legend Morten Frost back in charge for his second stint, Malaysia should have enough firepower to clinch the men’s team gold. Afterall, former world No. 1 Lee Chong Wei is back in the team. Goh V Shem-Tan Wee Kiong are also a good bet for the men’s doubles gold while Vivian-Khe Wei should deliver once again in the absence of Indonesian No. 1 Nitya Krishinda Maheshwari-Greysia Polii. HOPES are high on snooker duo Thor Chuan Leong and Moh Keen Ho to deliver the gold for the third straight Games. Chuan Leong, the 2014 Asian champion, won the doubles gold with Sam Chong in 2011 before picking up an individual honour in six-red (not contested this time) in Myanmar. This time, Chuan Leong is also eyeing the elusive snooker singles crown. He managed a silver in 2009 and bronze in the next two editions. Keen Hoo, on the other hand, is hoping to reclaim the snooker singles gold he won in 2007. Malaysia may not be traditionally strong in the English Billiards, but the arrival of former 11-time world champion Mike Rusell as national coach may make a difference this time around. FOUR golds seem just right. 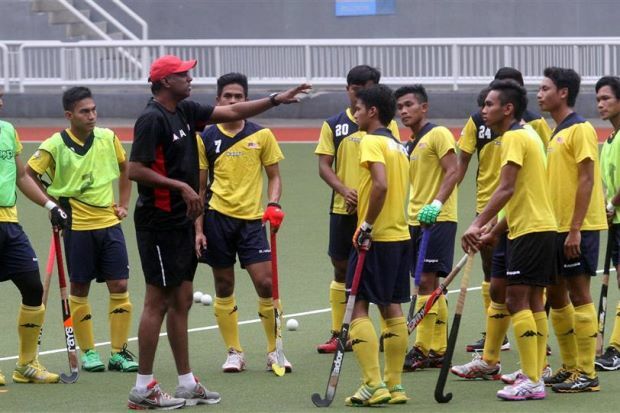 Malaysia are again favourites for the men and women’s team-of-five titles. They are are also capable of springing surprises in the singles, doubles, trios and Masters. Rafiq Ismail is in a rich vein of form, having been on the podium in six tournaments since January. 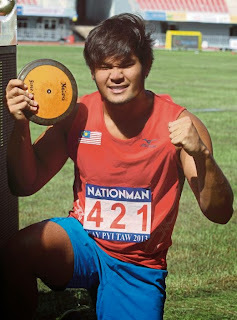 The men’s squad also have Adrian Ang, the four-gold hero at the 2011 Indonesia Games, as well as experienced Alex Liew. The women’s team are looking sharp and ready, too. Experienced Sin Li Jane, Esther Cheah and Shalin Zulkifli are world beaters on their day. They will be well supported by reigning Malaysian Open champion Syaidatul Afifah Badrul Hamidi, Siti Safiyah Amirah Abdul Rahman and Natasha Roslan at the Orchid Bowl. THE sport contributed three golds in Myanmar, but don’t expect Malaysia to surpass the haul this time. Only four golds are up for grabs in Singapore with the two endurance events being scrapped, which Malaysia won both two years ago. Malaysia’s best chance lies in the showjumping team event with Natasha Ines Wah Idris, Nabil Fikri Ismail, Nurlin Saleh and Sharmini Christina Ratnasingham shouldering the challenge. MALAYSIA will be without Gavin Kyle Green, who came so close to ending the gold drought in Myanmar two years ago. Gavin, who lost to Thailand’s Danthai Boonma in the gold medal playoff, is unavailable due to his final year studies in the United States. But it’s not all gloom and doom for the national team, thanks to the emergence of Daeng Abdul Rahman Abdul Aziz. Only 15, Daeng is in immaculate form of late. He beat a professional field to win the Danau Closed Championship in April and then won the Saujana Amateur Championship last month. He is good for the individual gold. THE last time gymnastics was contested was at the 2011 Indonesia Games. Then, Malaysia won two silvers through artistic gymnasts Farah Ann Abdul Hadi and Nur Eli Ellina Azmi. This time, Malaysia are banking on glory in the team event. Malaysia’s best hopes lie in rhythmic gymnastics with N. Shasangari Sivaneswary and Koi Sie Yan being tipped to strike the individual all-around gold. Hopes are also high on Chan Mei Thung, Yap Sin Lu, Yap Qian Ling, Loo Shiow Yng, Thew Yue Jia and Chai Xin Nong to land the group all-around gold. They were given all the exposure needed to come good with stints at the Kalamata Cup in Greece and the World Cup in Uzbekistan. 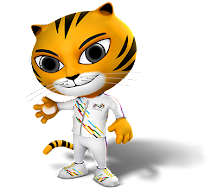 IT would be a national disaster if Malaysia fail to win both the golds. Malaysia will be represented by a young Project 2016 squad in the men’s event, but they still pack too much firepower for the South-East Asian rivals. In their run-up to the Games, they went for a playing tour of Australia last month and played friendlies with Singapore recently. As for the women’s team, they won the World League Round One in Singapore last June and they should beat Thailand, Singapore and Myanmar to retain the gold. 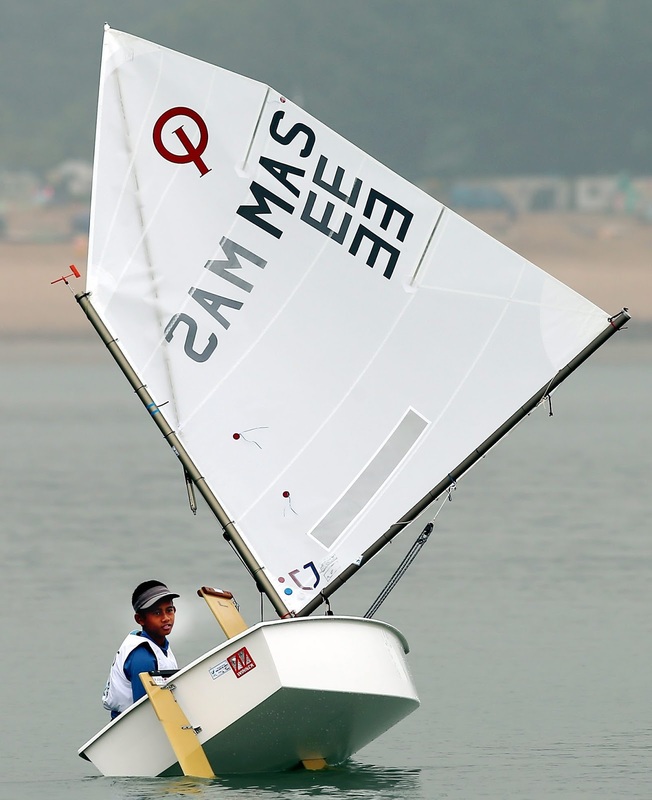 COUNT Malaysia to win men’s laser standard gold. They have won the event every time it was contested in the biennial Games. Olympian Khairulnizam Mohd Afendy is a safe bet to retain the gold he won in Myanmar. In the women’s laser radial, Khairunneeta Mohd Afendy and the Mohammad Latif sisters – Nur Shazrin and Nurliyana – are strong contenders for the gold following their extensive training under coach Charles Baillie Strong. International 420 sailors Nor Adriana Adlyna and Siti Nur Fatihah trained under world No. 1 Panagiotis Mantis and Pavlos Kagialis in Greece and should be start as favourites to win the gold. VETERAN Nur Suryani Mohd Taibi is a sure-fire bet for a gold in the women’s 50m rifle three-position. Malaysia will also be banking on lithe Ezuan Nasir Khan in the men’s 50m rifle prone. The shooters could also spring surprises in the men’s and women’s 10m air pistol team events as well as the women’s 50m rifle prone three-position. Alia Sazana Azahari is also an strong bet for gold in the women’s 25m pistol. MALAYSIA are the kingpins in South-East Asia. Malaysia will not be fielding world No. 1 Nicol David and Low Wee Wern in the women’s category and Mohd Nafiizwan Adnan in the men’s competition, but they still pack too much firepower for their rivals. Second stringers Mohd Addeen Idrakie, Sanjay Singh Chal, Rachel Arnold and Vanessa Raj should deliver four golds. THE sport delivered four golds the last time it was contested at the 2011 Indonesia Games. It was a family affair with Philippa Yoong taking the women’s slalom and overall gold and former Formula One driver Alex Yoong taking the men’s overall title. The star of the team then was their little half-sister Aaliyah Yoong Hanifah. At eight-years-old, Aaliyah became the youngest SEA Games gold medallist in history by winning the tricks event. Aaliyah, now 11, should again emerge triumphant in the tricks. She is also tipped to win the overall gold. As for Alex, he is favourite to retain the overall gold. IT contributed three golds at the last Games. Being a subjective sport, it’s fair to predict a conservative two-gold haul this time. Singapore are the favourites as they are capable of bagging four titles. Indonesia, Vietnam and the Philippines also have talented exponents to get their hands on the slice of the pie. Malaysia’s best hopes lie in the women’s nanquan. Diana Bong was the winner in 2007, 2009 and 2013 while Tai Cheau Xuen emerged champion in 2011. Both will again be competing in Singapore. Two-time world champion Ho Mun Hua is the other best bet. He came close with three silvers and one bronze in the men’s nanquan, so it could be his time to finally claim his first SEA Games title. DewaZeus adalah bagian dari situs ZeusBola, yang merupakan bandar master bandar taruhan judi bola, Casino, Poker, taruhan sabung ayam online S128, CF88 DewaPoker, Live Casino Dealer Resmi Lisensi Filipina Paling Terpercaya di Indonesia, hanya di DewaZeus. 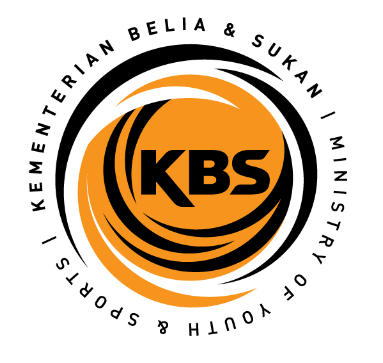 Yang Merupakan Agen Bola Sbobet Indonesia Terpercaya, ZeusBola telah berkerja sama bersama kongsi Sbobet beroperasi di Asia yang dilisensikan oleh First Cagayan Leisure & Resort Corporation, Manila-Filipina dan di Eropa dilisensikan oleh penaklukan Isle of Man kepada beroperasi sebagai juru taruhan sport sedunia. Kantor Cabang Bandar Taruhan Judi Bola Sbobet Online Terpercaya dan paling baik yg menyediakan jasa layanan bagi awal akun permainan judi atau taruhan online untuk anda di kantor cabang judi online yg berpangkat International, jadi dan terpercaya hanya di ZeusBola. Juga Sebagai Perizinan Bola Sbobet Indonesia Terpercaya, ZeusBola sudah berkerja sama bersama industri Sbobet beroperasi di Asia yg dilisensikan oleh First Cagayan Leisure & Resort Corporation, Manila-Filipina dan di Eropa dilisensikan oleh orang nomor 1 Isle of Man pada beroperasi yang merupakan juru taruhan sport sedunia. CemePoker yakni kantor cabang Poker Online, Domino, Ceme, dan Capsa yang sediakan beraneka banyak game dengan 1 user ID saja dan cemepoker di anugerahkan sebagai delegasi judi poker dengan rating win tertinggi. cemesamgong.com menjamin 100% keamanan sebagian membernya tambah pemain Poker saya dijamin 100% Player VS Player.